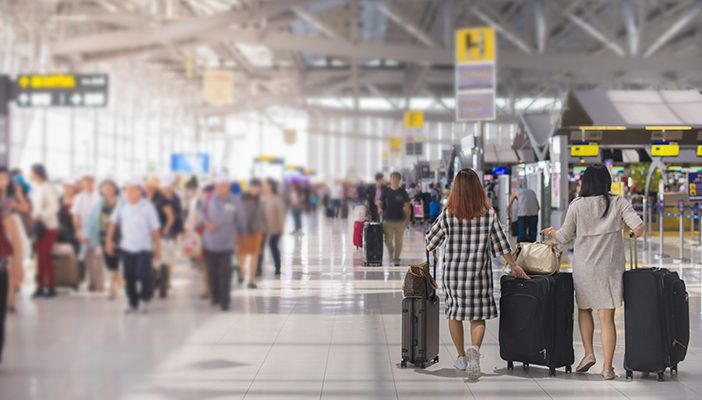 Last week, the Civil Aviation Authority (CAA) published guidelines to help passengers with sight loss and other hidden disabilities get better support when travelling at UK airports. The guidelines include making sure passengers receive more effective communication ahead of their journey in accessible formats. People with sight loss and hidden disabilities should have the option of wearing a lanyard, bracelet or other suitably designed aid provided by the airport to ensure they are easily identified by staff and can get the assistance they need. Airports should provide a quiet area to wait for flights and quiet routes through the airport, for example bypassing the retail area. This will make travelling through the airport less stressful and disorientating. The guidance has been agreed following CAA consultations with airports and disability organisations. Thirty of the largest UK airports have been asked to make the improvements to their special assistance service and to report back to the CAA on the changes made next year.